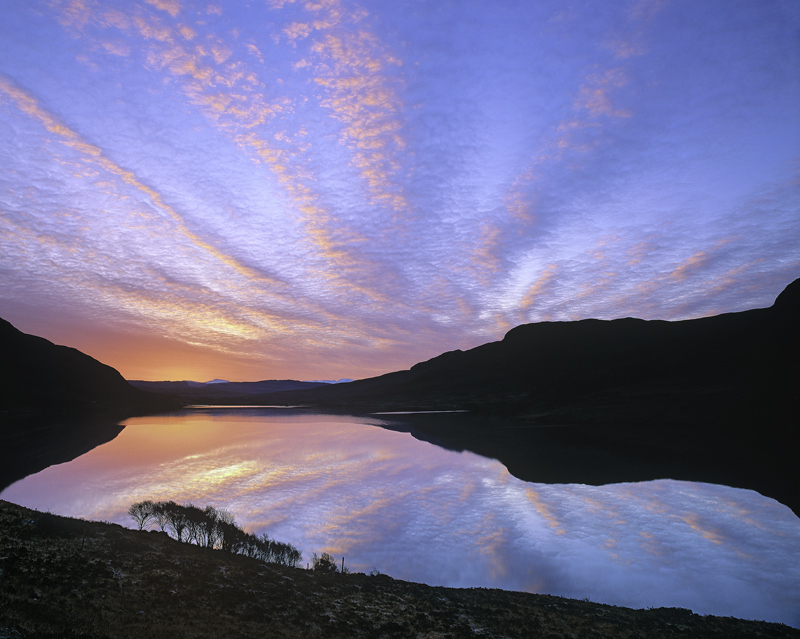 A spectacular sunrise came out of nowhere causing a massive and instantaneous change of plans in order to capture this amazing explosion of clouds forming a starburst over Loch Lurgainn. I watched this stunning scene mature from blood red pre-dawn light to post sunrise blue and white dappled sky. The lovely meandering row of trees becomes a striking focal point of the picture even though in silhouette.